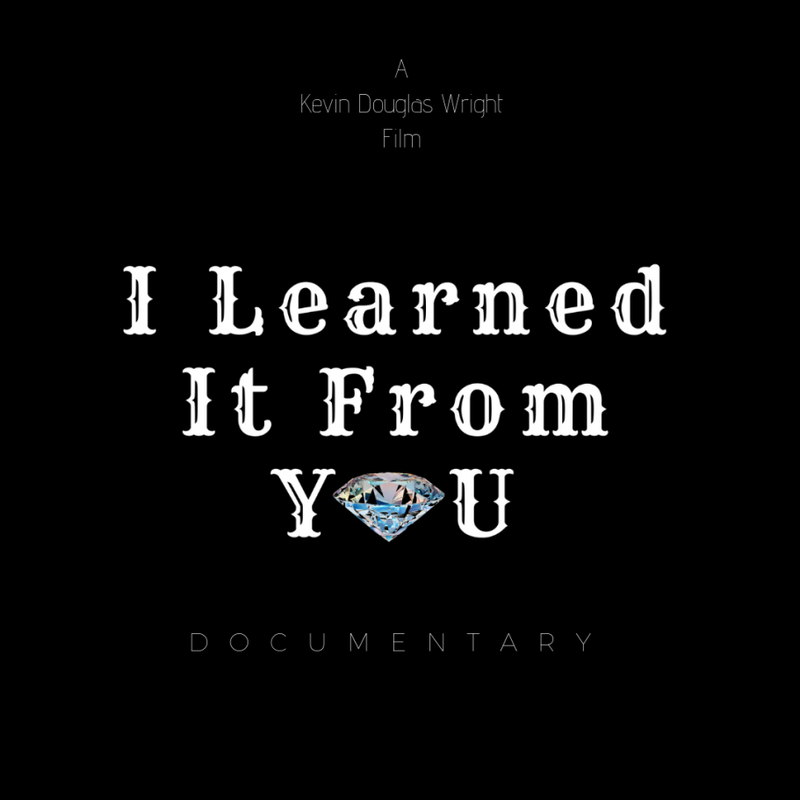 FORT LAUDERDALE, Fla. - Feb. 18, 2019 - PRLog -- Film director, Kevin Douglas Wright, completed his documentary, 'I Learned It From You'. Mr. Wright also produced and wrote the documentary. How would you describe 'I Learned It From You' in one simple sentence? Mr. Wright began, "Sometimes what someone teaches can have deadly consequences." "It's a documentary that explores how we have treated each other in the past and how will might treat each other in the future," he continued. "I randomly selected 6 different people and asked each of them the same 6 questions." Why did you randomly select six people? "I wanted to make sure my views and opinions did not influence anyone's answers to my questions. So, I interviewed strangers and I did not tell them my point of view on any issues," explained Wright. "Another key part to my documentary was that I wanted each person that I interviewed to be born during the 1940s and 1950s." Why were the 1940s and 1950s so important to you? "These years have dramatically impacted where we are today and why so many different issues continue to be challenging," Wright detailed. What issues are discussed and touched upon in 'I Learned It From You'? "I prefer to allow each person who watches my documentary to discover the issues touched upon on their own. Each person will have an opportunity to take away something different without any influence from me," Wright continued. What are the 6 questions that you asked each of the people you interviewed? "Question #1 was 'What year were you born?'. Question #2 was 'Where did you grow up?'. Question #4 was 'What are your earliest memories of having fun and being happy as a child? '," Wright replied. "The answers to these questions show us that we all have something in common and we all kind of start life almost the same as everyone else." What about Questions #3, #5, and #6? "It is better to see my documentary and watch the film as questions #3, #5, and #6 are asked and answered. It allows you to form your own opinions about any issues the documentary uncovers," explained Wright. "We are taught and we learn things as a child and as a teen. My film explores these things. When you watch the documentary, you get the opportunity to decide on your own whether these things are helpful." Can you tell us anything about the 6 people that you interviewed? "Yes, I can tell you a little bit about each of the six people. I interviewed four women and two men," said Wright. "The backgrounds of each person I interviewed are extremely interesting, but it is better to watch my documentary and actually see how each of their stories unfolds and is then compared and contrasted to the other's stories." When can 'I Learned It From You' be seen and where will it be shown? "The first few showings will be at a movie theater in Broward County, Florida in May 2019," Wright ended. "If you are an agent or a member of the media or press, please contact me directly and I will send you the exact dates, times, and locations."